Sash windows are made of movable panels or sashes that form the window frame. The window frame’s purpose is to hold the glass pane, which is often separated from other panes. These types of windows are often seen in Victorian and Georgian houses in UK. The classic designs consist of 3 panes going across by 2 up on each of the 2 sashes. Houses that were built in Edwardian and Victorian suburbs in England used standard sashes with approximately 4 feet in width. It is perhaps because of the character that these windows have that most people prefer to carry out a sash window refurbishment rather than a total replacement. 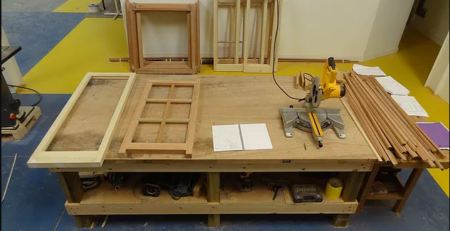 If you wish to refurbish your sashes, you must start with the sliding sash window which is normally balanced by a heavy cast iron weight within the window frame or Box as it is commonly referred as. The entire weight is connected by a sash cord that runs over the pulley at the top of the frame. Some designs consist of spring balances rather than a pulley, but you can still fit your windows using simplex hinges for easier locking. This will also allow the windows to be opened for easier cleaning or airing purposes. Some of the main problems that occur with these types of windows are rot, swelling or distortion of the timber. Due to wood shrinkage, you may also hear rattling noise whenever it is windy. If the window frames were not painted correctly in the first place, the woodwork can get damaged and will age faster than a sash window that was prepared and decorated properly in the first instance. The sliding mechanism is also another factor that makes sash windows more vulnerable to rattling. Although sashes are high maintenance, they do offer many advantages. You can enhance the value of your property by opting to refurbish your old wooden sashes rather than replacing them with UPVC windows. Another huge advantage of these traditional windows is that they offer efficient cooling during warmer weather conditions. By just opening the top and bottom, your room will stay relatively cool throughout the summer months. In fact, there will be no need for air conditioning when you can simply leave your windows half open. Sashes are designed to be refurbished on a regular basis, usually every 10 years or so. The glass and frame will eventually loosen in the box, and as a result, they start expanding and contracting. This means gaps will appear over time and during the winter months, you will feel draughts. In addition, older windows that are made of timber are more likely to rot, so regular painting is essential to prevent this. There is no denying that refurbishing your sash windows will cost much less than replacing the entire window. You can give your sashes a new lease of life without breaking your budget. If you are unable to carry out the refurbishing process yourself, consider hiring a professional sash window repair company who will take care of the job for you. The refurbishment process involves easing, dismantling, adjusting, re-aligning, and re-assembling. This will improve the efficiency of the windows and make them draught proof. Ideally, you should seek the help of professionals as it takes skilled workmanship to get the job done right. The repair and upgrade of such architectural features will certainly add value to your home. Refurbishment of these traditional windows is a popular option as it allows the homeowner to maintain the condition of their structure and support the longevity of such features. 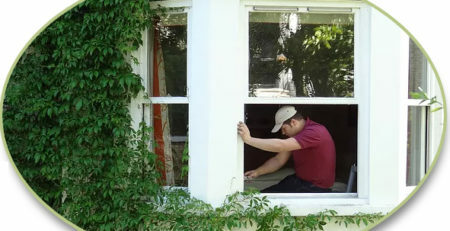 An experienced professional sash window repair specialist will examine the framework thoroughly to ensure that it can be restored and preserved. Once a complete assessment has been carried out, you will then receive a price quote. It is best to contact two or three companies before agreeing to proceed. You should make sure all the rotten areas have been addressed in the assessment report. The company you assign must have the necessary tools to carry out the refurbishment process. Keep in mind that while most architectural features of Victorian or Georgian properties are structurally sound, in order to prevent replacement it is best to use additions to improve the style of your home. With the correct level of maintenance, your home’s energy rating can improve significantly, saving you money on your heating bills. Professional glazing procedures can be undertaken to help you rely less on heaters and air conditioners. Sealing gaps and repairing cracks can decrease noise pollution and stop draughts from entering in your rooms. All this can be highly advantageous for you and your family knowing that you can live in a traditional property with newly refurbished sash windows.